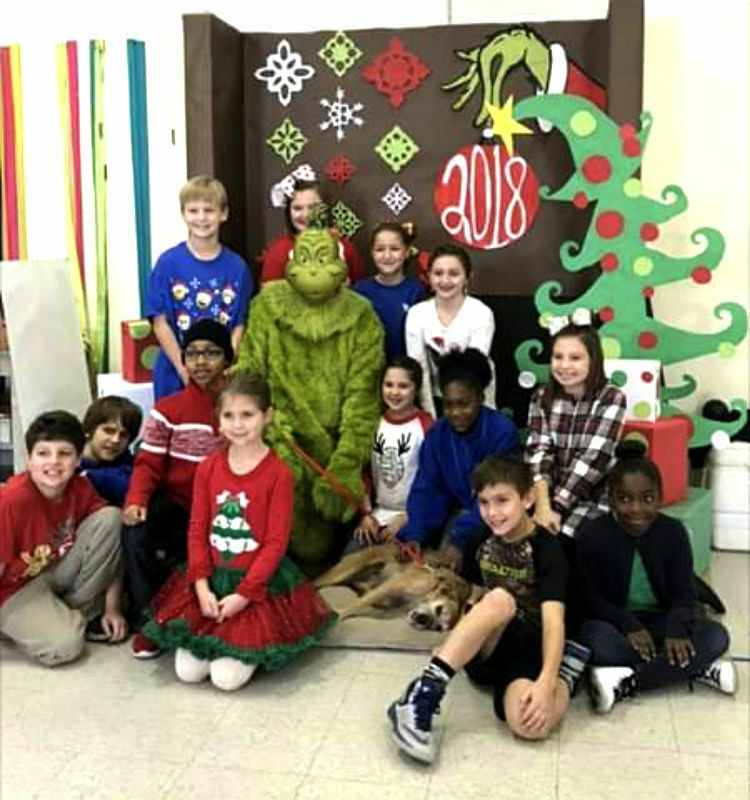 Students chosen as Luminous Leaders at Bains Elementary School in St. Francisville recently raised $2,000 for the local animal shelter through a project involving getting pictures with the Grinch. More than 400 photos were taken to raise money for the James L. "Bo" Bryant Animal Shelter of the West Feliciana Animal Humane Society. At Bains Elementary, two students from each class are chosen as Luminous Leaders, who have numerous leadership responsibilities in the classroom and around the school.